Experience the glide difference. 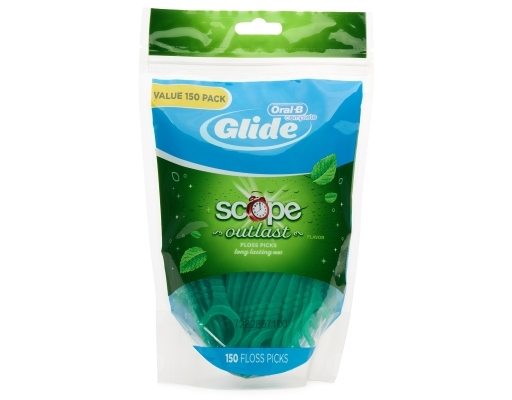 Oral-B Complete Glide Floss Picks + Scope Outlast Flavor combine the freshness of Scope flavor and the silky-smooth texture of Glide floss with the ease of a pick. 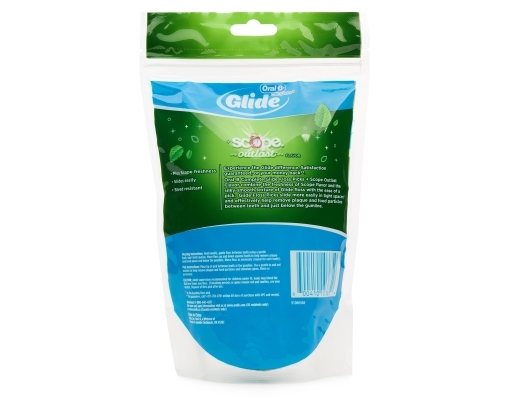 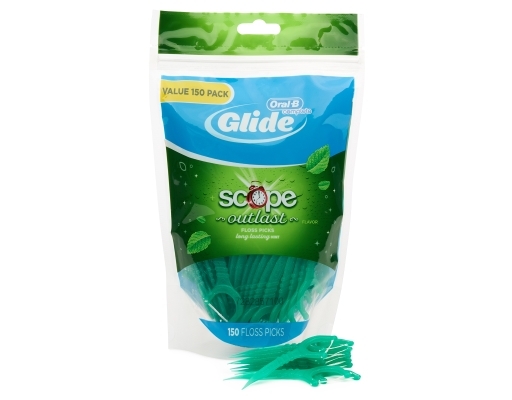 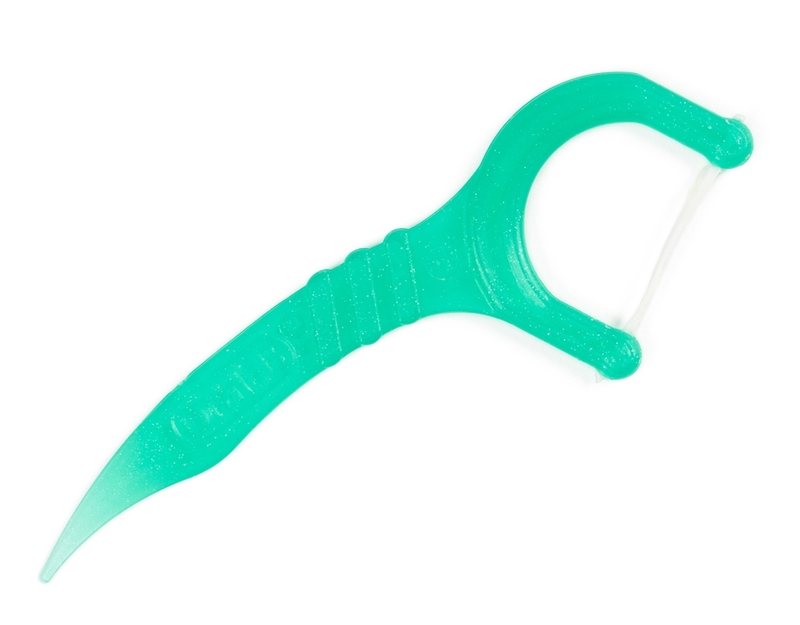 Glide Floss Picks slide more easily in tight spaces and effectively help remove plaque and food particles between teeth and just below the gumline.